We are Mains Gas , LPG and OFTEC qualified. We specialise in the installation of condensing boilers and renewable energy products from Worcester, using the latest technology available. 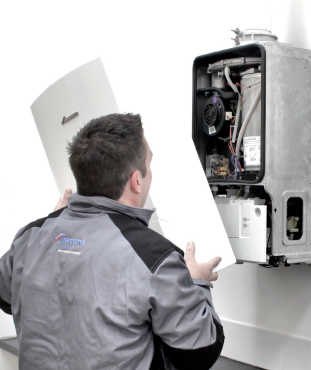 Modern condensing boilers improve efficiency to over 90% which could save you up to 30% per year on your home heating bills, which represents a big saving over the lifetime of your boiler. Somerford takes gas safety seriously. We only use Gas Safe registered engineers and they will have their official identity card when you ask to see it.